We still don't know how Capcom shoved all those creatures onto such a tiny cart. Voodoo magic, perhaps. 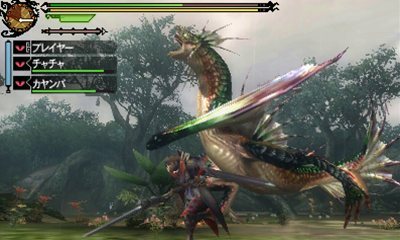 Last December, Capcom wisely unleashed Monster Hunter Tri G in Japan and the game ran amok, climbing the sales charts and helping propel Nintendo's 3DS to must buy status. Although it remains to be seen whether this title will have the same affect on the U.S. and Europe, it's great to know the publisher intends to release its highly regarded action romp outside the land of the rising sun, under the title Monster Hunter 3G. At least that's what Edge magazine says. Europe will receive it during the third quarter of 2012, while the U.S. launch window is still unknown. Keep in mind Capcom has yet to make an official statement.